Not only do plants reduce carbon dioxide levels and improve air quality, they also create positive energy and a tranquil ambiance for any indoor space. Keeping plants in your home or office is proven to be beneficial to health: they boost concentration, memory, and mood in general. 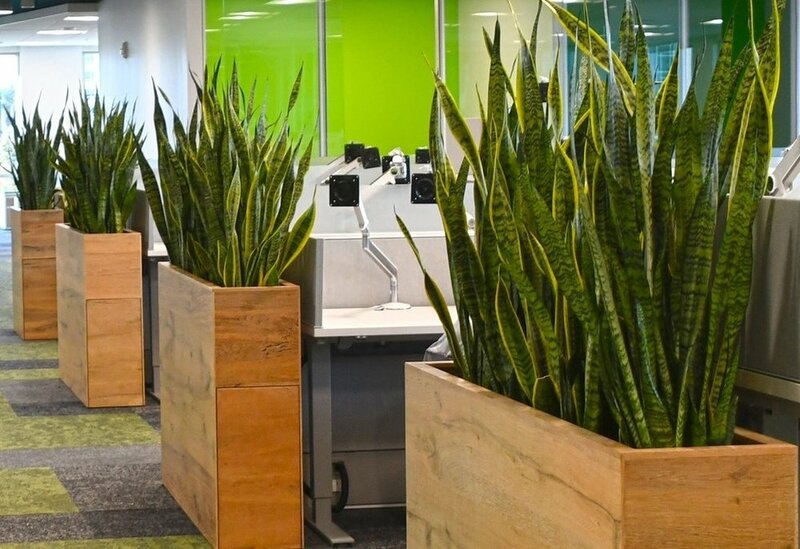 Atlantic Designscapes offers various interior plant services to create and maintain beautiful green spaces in offices and other commercial places in the Triangle. We also rent and install indoor plants and arrangements for short-term events, such as weddings. Whether you decide to rent or lease plants long-term, our designers are ready to work closely with you to develop a plan that will suit your tastes and create an environment that is warm, inviting, and friendly. Long-term clients enjoy regular scheduled visits from technicians to make sure that your plants maintain their healthy appearance. Learn more about the benefits our services can bring to your clients, employees, and workspaces. No matter the scale, Atlantic Designscapes’ indoor landscaping services can create a warm and positive environment for your space. Whether you need a few potted plants and arrangements or a vibrantly landscaped atrium or interiorscape, we know how to enhance your space with color and foliage, bringing life to workspaces and adding extra celebration to your events.